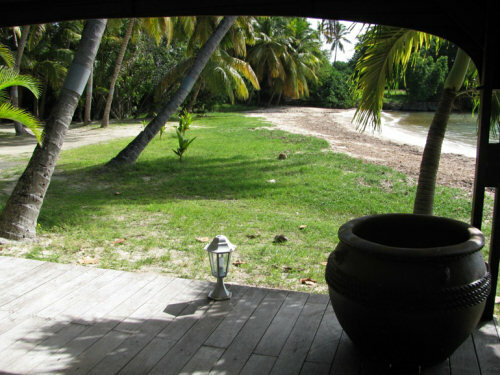 A unique site in Marie-Galante, a spacious and comfortable villa built on a coconut tree fringed beach. 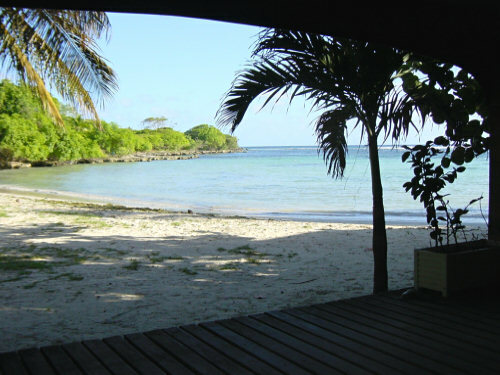 Situated in the southern part of the island, on the Basses' Lagoon, in a small sheltered bay, at 4kms (2.5miles) from Grand-Bourg and 8kms (5miles) from Capesterre. 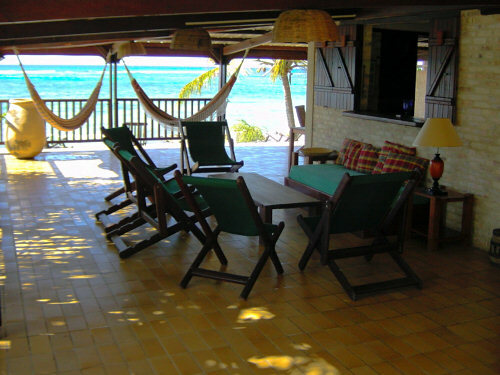 The villa is surrounded by a terrace above the sea and has a mezzanine for even more view. 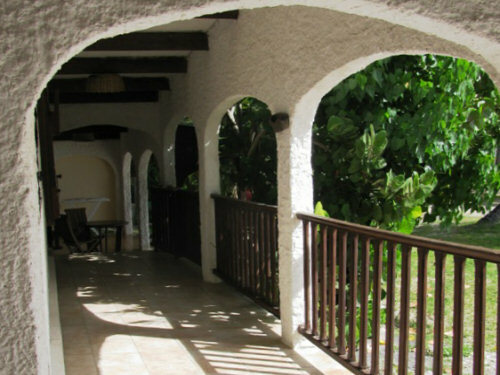 There are two independent huge bedrooms, opening to the beach, as well as a studio apartment, which can be rented separately or together with the rest of the villa. 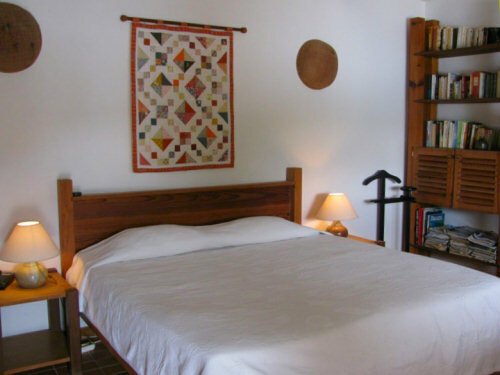 All bedrooms have air-conditioning and their own bathroom with shower and WC. 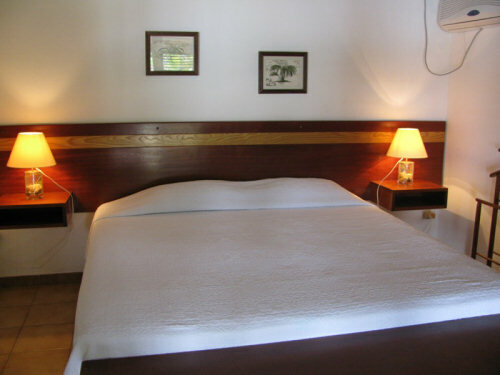 1 double bed 160cm (queensize) and 2 single beds 80cm, ceiling fan. 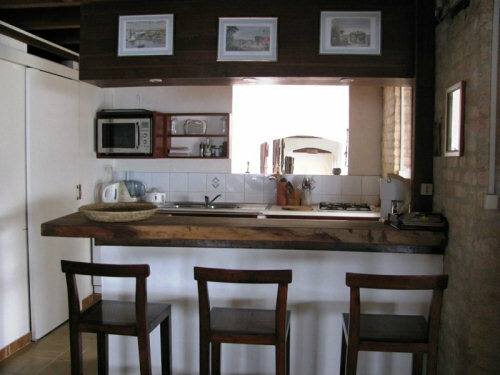 The studio apartment takes benefit of the same situation, with kitchenette and private terrace. We can fit it with a kingsize bed 180cm or 2 single beds of 90cm. 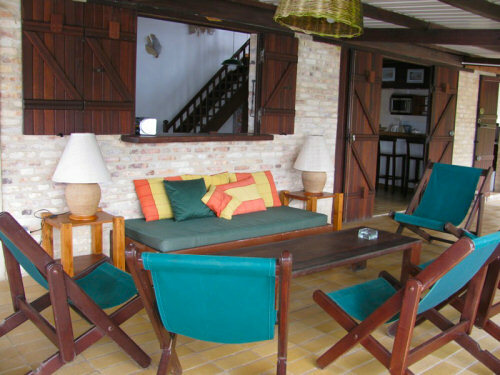 The huge gallery is fitted with wooden outdoor armchairs and hammocks. The dining corner extends to a sun-deck above the sea, where you can laze and suntan in deckchairs. 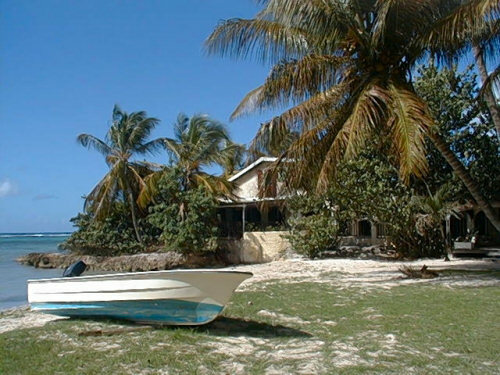 car rental at the airdrome, scuba diving, underwater fishing, windsurfing in several clubs on Marie Galante. 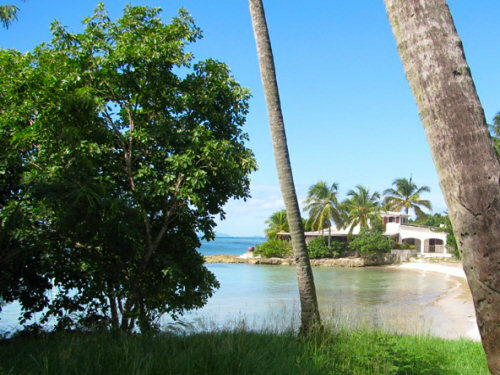 With your family and friends, taste the Bielle Rum, offered in these enchanting surroundings. 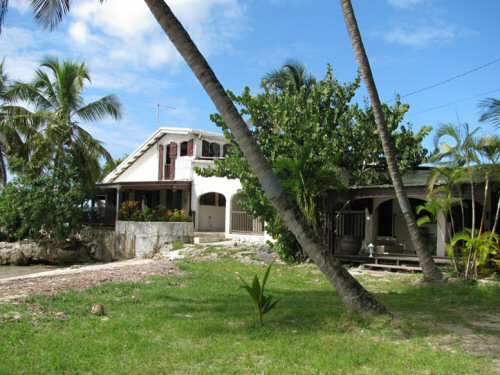 Habitation Bielle, 97112 Grand-Bourg, Marie-Galante F.W.I.